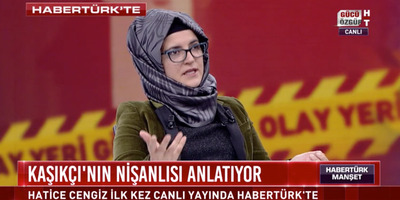 HaberturkHatice Cengiz on a Turkish TV station on Friday. Hatice Cengiz, the fiancée of the slain journalist Jamal Khashoggi, said the US was not taking his murder investigation seriously. 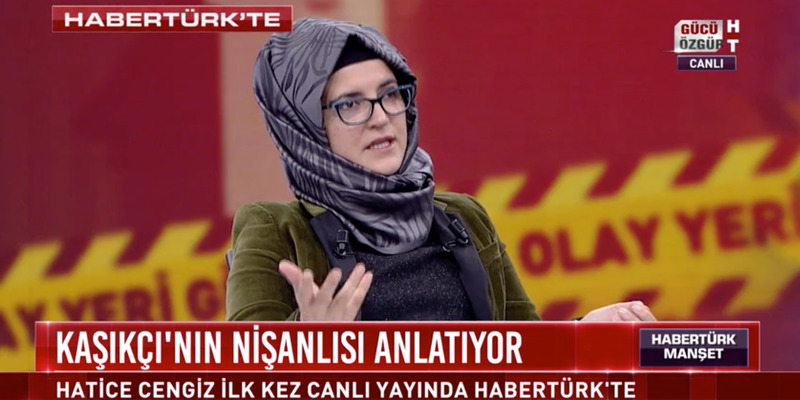 During a Friday appearance on a Turkish TV station, she said she had turned down an invitation from President Donald Trump to travel to the US. Khashoggi, a critic of the Saudi government, was killed at the Saudi Consulate in Istanbul on October 2. Here’s everything we know about the Washington Post journalist’s killing so far. The fiancée of the Saudi journalist killed early this month in Turkey has accused the US of not being sincere in its efforts to solve his killing. During her first TV interview since Jamal Khashoggi died, Hatice Cengiz indicated distrust of President Donald Trump and said she had turned down an invitation to travel to the US, Reuters reported. “[Cengiz] did not accept US President Donald Trump’s invitation to visit the White House because she thought it was aimed at influencing public opinion in his favour. Haberturk published footage of the interview (in Turkish) here. According to a transcript of the interview, Cengiz also spoke about the emotional strain of Khashoggi’s disappearance. She said Khashoggi had expressed worry over his appointment at the Saudi Consulate in Istanbul, where he disappeared and where Saudi officials later acknowledged he was killed, and that he thought of Turkey as a safe country. Saudi Arabia initially denied all knowledge of Khashoggi’s whereabouts after he went missing on October 2. The kingdom’s story changed, however, after weeks of leaks by Turkish officials indicated they had evidence Khashoggi had been murdered by a team of Saudis that included some with links to top Saudi leadership. On Sunday, the Saudi foreign minister said the Saudi crown prince, Mohammed bin Salman, had no part to play in Khashoggi’s death.